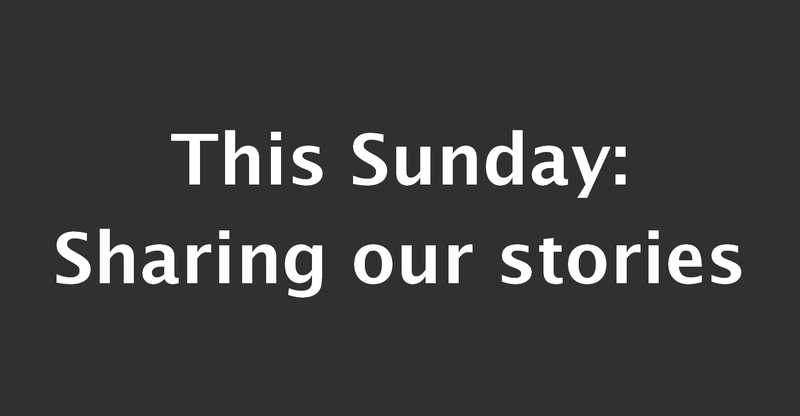 This Sunday there’ll be no sermon during our service. We’ll worship together from 10.30am as usual, but then we’ll have time to share the stories of what we are seeing God do in and through us. There are so many great stories in the church. They were right. And this week will be one of the occasions for that to happen. So come ready to share. And just in case you’re wondering, it’s not just the big stories that are welcomed, nor is it just the stories that have ‘neat’ ending.